I am sure many of you already know about the terrible events of last night in Collier Row. I have been to school this afternoon and have spoken to the police who have said that they are unsure how long the road will remain closed from the roundabout in the centre of Collier Row to Lynwood Avenue. 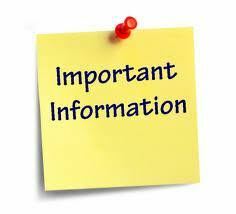 I have been advised that there is no reason why school cannot open tomorrow so we will be open as normal and both back and front entrances will be open in terms of access. I totally understand how distressing this is for everyone, expecially those living so close to the scene and appreciate that it may be more difficult than normal to get to school in the morning. Staff will be available for the children and parents to talk to if needed as I will be. Thank you in advance for your support and understanding at this difficult time and in the meantime our thoughts must go to the families of those directly involved.